1130. Collaborative Collective: M. Davidová, K. Hanzlík, M. Dlouhá, M. Krejík, J. Zatlukajová. The Wilderness Catalyst, Czech Republic. 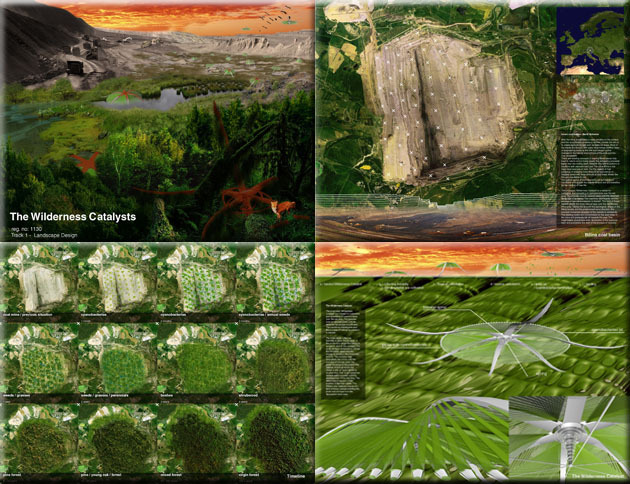 Wilderness Catalyst is a vessel for cultivation and spreading of cyanobacteria over devastated landscapes, such as brown coal basins in Czech Republic. Nostoc species can survive these conditions, absorb soil toxicity, and be the catalyst for further succession of new life. For more information about this entry, contact the author. email: md@collcoll.cc.